Happy 37th birthday to the boy (or man) who lived. Today is Harry Potter’s 37th birthday. It’s also Harry Potter creator J.K. Rowling’s 52nd birthday. Coincidence? Unlikely. With all due to respect to the author, we’re focusing on her creation today. While you might’ve thought Harry Potter was only in his mid-20s, because of a rarely mentioned twist in time, the series actualy takes place about a decade before the books were published. Harry is now celebrating his birthdays in a more low-key style than he might have during his twenties, with good food, magical elixirs and a few Weasley-Potter running around. But if you’re were attacked by the most evil wizard in history and suffered merely a flesh wound, you should still celebrate each and every birthday to the fullest. Here are five items Harry Potter is using to do just that how we imagine the party will go down. Are Sherbet Lemon candies magical? Well no, these candies are muggle-made. However, they were Dumbledore’s favorite and Harry most certainly keeps a jar of them on his desk at the Ministry of Magic. Before floo powdering home to his birthday party, Harry takes a seat and reflects back on the year. He thinks of his wife, Ginny, his kids, now off at Hogwarts, and his spare broomstick that he lent to Ron a few months ago and is yet to receive back. He makes a note to ask Ron about this at the party. 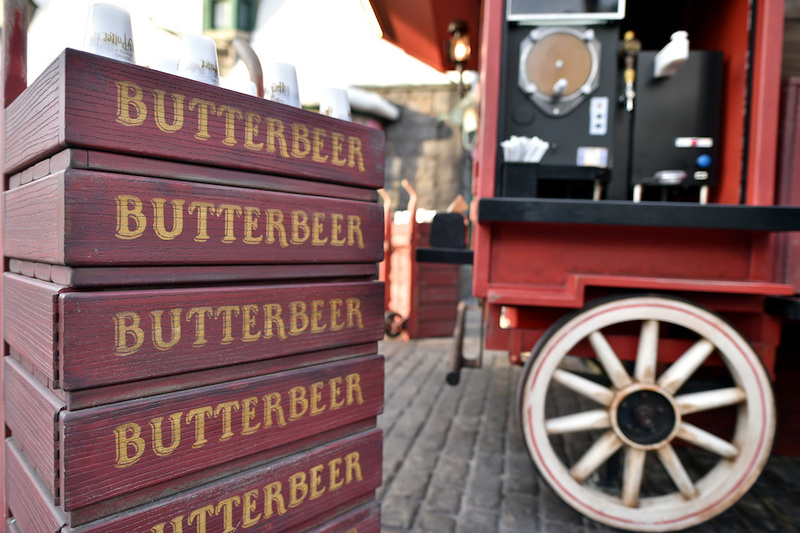 No party at the Potters' house is complete without a game of Bertie Bott roulette and Neville was kind enough to bring a few boxes from Honeydukes just for the occasion. As the Every Flavor Beans are passed around the room, faces quickly sour from elated to disgusted. Unlike most boxes, the ones Neville brought include only the nasty flavors, like belly button lint, dirt, dog food and envelope glue. That's when Harry and Ginny's daughter Lily asks an important question, "Uncle Neville, why were all of the boxes already open when you arrived?" Neville goes red in the face and looks helplessly at Harry, "I'm sorry Harry, I couldn't resist! Luna won't let me have them at home and I was so hungry on the trip over." Harry takes a last sip of his Butterbeer to wash away the taste of the phlegm-flavored bean, but he knows they're going to need something stronger as a remedy. The next morning, Harry wakes up by falling off his missing broomstick, which is floating three feet above his living room floor. At the sound of the thud, Ginny walks in with a bar of the same chocolate Remus Lupin shared with Harry on the Hogwarts Express during his third year run-in with a dementor. “Remind me to tell Ron to leave the firewhisky at home next time, will you?” Ginny smiles and says, “Look on the bright side, Hermione found your missing broomstick in the bottom of her handbag, along with a couch, a few dragon eggs and that old car you and Ron flew into the weeping willow.” Harry stands up and looks outside to see a beautiful sunny day. He eat a piece of chocolate and while his head is pounding, he knows that at least this time, it’s not from the scar. If you want to eat even more magical food from the world of Harry Potter, apparate this way.